The Monaco Yacht Show isn’t just about celebrating some of the world’s largest superyachts — cutting edge sailing technology is a key part of the show’s appeal too. We round up six of the best sailing yachts heading to Port Hercules for this year’s show, starting with Lot 99. Hull number one in the Nautor’s Swan 95 series, this 28.8 metre sloop features a raised saloon, but a flush-deck alternative is also available from the Finnish yard. Designed in collaboration with German Frers, Lot 99 strikes a fine balance between long-range cruising capability and on-board comfort. The Monaco Yacht Show isn’t just about celebrating some of the world’s largest superyachts — cutting edge sailing technology is a key part of the show’s appeal too. We round up six of the best sailing yachts heading to Port Hercules for this year’s show, starting with Lot 99. Hull number one in the Nautor’s Swan 95 series, this 28.8 metre sloop features a raised saloon, but a flush-deck alternative is also available from the Finnish yard. Designed in collaboration with German Frers, Lot 99 strikes a fine balance between long-range cruising capability and on-board comfort. 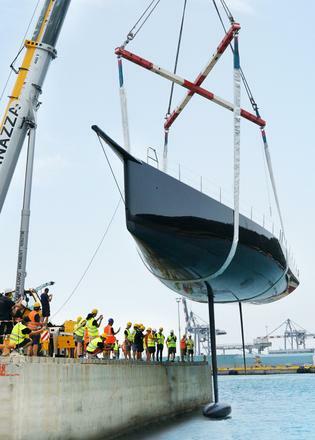 As her name would suggest, Pink Gin VI is the sixth yacht built for the same owner. Hans Georg Näder has returned to Baltic each time and was so impressed by their craftsmanship that he ended up buying the Finnish yard. 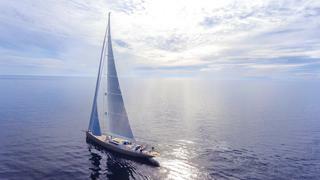 This latest 53.9 metre Judel Vrolijk-designed yacht is truly groundbreaking, as the world’s largest carbon fibre sloop. 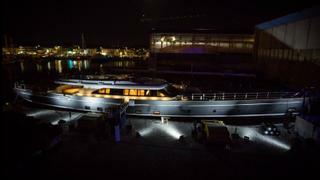 She boasts two fold-out balconies and interiors by Design Unlimited, but perhaps the most intriguing feature is one that visitors to the Monaco Yacht Show won’t be able to see — her keel bulb has been painted to resemble a shark smoking a Cuban cigar. 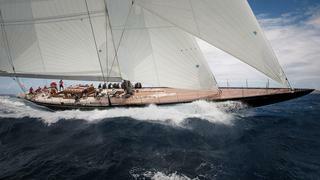 One of the most exciting yachts for sale at the 2017 Monaco Yacht Show, Rainbow is a fine example of why J Class yachts are enjoying something of a renaissance at the moment. Developed in collaboration with Dykstra Naval Architects and launched by Holland Jachtbouw in 2012 as a modern aluminium replica of the 1934 America’s Cup winner, she boasts a timeless elegance, deVosdeVries Design interiors and accommodation for six guests. Sure to be one of the largest sailing yachts on display at the 2017 Monaco Yacht Show, Seven is the most recent launch from Italian yard Perini Navi. This 60 metre ketch is the follow-up to Seahawk and Perseus 3, and her Ron Holland naval architecture promises similarly exhilarating performance out on the open water. Her interior design by Studio Dante O. Bellini adds a further level of exclusivity. 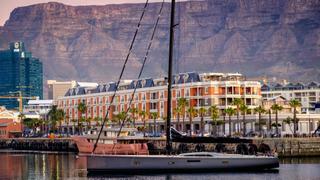 South African yard Southern Wind will be showing off its new limited edition SW96 series at this year’s Monaco show, with hull number one Sorceress due to go on display. Launched in April, she features naval architecture by Farr Yacht Design as well as styling inside and out by Nauta Design. 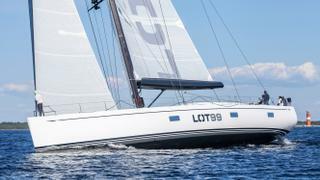 The Wallycento series of 30.48 metre sailing yachts has spawned four hulls so far and the most recent iteration, Tango, will be exhibited in Port Hercules. Unlike her predecessors, she features naval architecture by Mills Design and interior styling by the iconic Pininfarina studio. Launched earlier this month as the largest project to date from Persico Marine, she weights in at just 47.5 tonnes lightship, thanks to clever use of carbon fibre and nomex sandwich construction methods.